Electric bikes, and electric vehicles in general, have experienced a massive uptake over the past few years due to their positive impact on the environment, improved designs and cost benefits. This got us thinking and researching about the history of electric bikes and when they first started to come to prominence, and they’ve got a far longer history than anybody would have thought! Amazingly, the first electric bikes on record predate the 1900s! Patents were filed for a bike with a hub motor mounted to the rear wheel and a bike powered by a double electric motor, in 1895 and 1897 respectively. The inventors behind these bikes were clearly way ahead of their time! Fast forward a century and electric bikes featuring torque sensors and power controls were starting to appear in Japan, as well as the first electric motorbikes elsewhere. More innovative designs with lighter batteries and longer ranges were beginning to come to the fore, and by 2007, electric bikes were reported to account for up to 20 per cent of two-wheeled vehicles in Chinese cities! However, in the 2000s electric bikes were only experiencing a small amount of success in countries like the United Kingdom. In fact, we pitched E-Rider in the fiery pits of the Dragon’s Den, only to be turned away by health and fitness supremo, Duncan Bannatyne, who didn’t foresee the electric revolution. Now, four years later, we’ve grown to an extent where we have a full range of electric bikes and scooters, with thousands driving E-Riders and seeing the benefits for themselves – we’d like to think we were the one that got away! With government initiatives such as the ban on the sale of all petrol driven vehicles by 2040 and the T-Charge announced earlier this week, it couldn’t be any clearer that electricity is forming the future of transport. 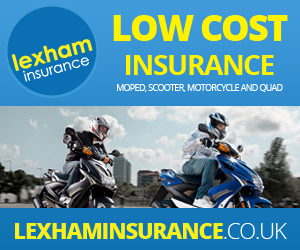 See our full range here of electric bikes here and get ahead of the curve.